Trendease International celebrated 5 years last month! Covering over 100 design events a year, currently 28,000+ images in 1,050 reports keep 138 countries in the know! Are you reading Trendease.com? The world of design is pushing boundaries and extending into new territories. Furnishings have become art at Design Miami/Basel. Art has a new platform to exhibit at retail with Parcours St. Germain. Merchandising has never been so exciting! Cross pollination between product categories and industries is running rampant. Walls, bathrooms, vases, upholstery, and tables are getting a surface make over and it is not with paint or new materials, but rather with light. New expositions are breaking ground with 100% Design Shanghai and Design Show Liverpool. Designers make statements; contradictions appear in products; materials and colors create excitement at Designer’s Days; eco-chic and new talent continue to flourish. Also see an avant premiere of the 2009/10 Heimtextil trends. This and much more in the virtual pages of Trendease! Get inspired with the July edition! Shanghai — June just flew by didn’t it? After happily celebrating the month marking the fifth year anniversary of Trendease International, we are back again with a brand spanking new issue of Trendease. We’ve ventured through Europe and Asia and we have the latest on the world of design to report to you. In this gallery read Jennifer's industry statements and see a thorough review of 100% Design Shanghai. Multiple European Cities — From the 16th century until today, Delftware has come a long way. Contemporary designers are seizing on different aspects of the pottery form to incorporate them into today’s objects. Crossing all kinds of boundaries, Delftware can be found on everything from dishes to carpets. Get a taste of that diversity in our gallery! Paris — After colors, shapes can be one of the first things noticed when looking at an object. Or they can play a major role in one feeling comfortable in space. Here dive into a world where various designers have used shape to present their products, materials, and galleries. Check out how their shape helps bring out the best in them. Paris — Designer’s Days in Paris had exhibitors do some interesting things with light. Colored light interacting with monochrome product, be it a chair, a vase or a wall, can spice things up. Take a piece of furniture for example, and when it seems it could use a change, alter the light, and it will have a completely different feel. The lightshow is here! Basel — The Trendease Team brings you coverage of Design Miami/Basel. More than a marketplace for high-end design, the event’s objective is to construct the most provocative showcase in the world of design. The show covers an area of overlap between art and design and this show is fast becoming a big player among the collectors. 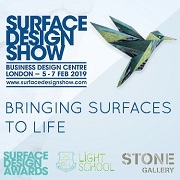 Embodying the changes and trends in the design world, this gallery will give you a head rush, and you do not want to miss it. Paris — Design can be the stuff of dreams. What then is the stuff of design? The big guns of design divulged some trade secrets at this year’s Designer’s Days in Paris. They showed us the materials that go into making great products and great merchandising. In a sense, this gallery shows how much the material changes, and yet how the finished product retains certain aspects of the raw origin. Liverpool — Trendease brings you a review of the newly inaugurated Design Show Liverpool in the UK. Following world trends, the show gives designers from the English North West a word in the global design game. From eco-chic to trend people, see what they all had to say for themselves right here in our gallery! Paris — The contemporary art world can be as fantastical as it can be inspiring. At this year’s Parcours St. Germain in Paris, it is certainly both. The Parcours is a group of over thirty galleries, exhibition spaces, and retailers that give free reign to artists who expose original works on a given theme. With its theme of “Once upon a time...” only the imagination is a limit to what you might find in this gallery. Multiple European Cities — This group of young movers and shakers are tapping into every resource – from everyday materials to old-fashioned techniques to the whims of the natural world. And although their work has a playful nature, there is something serious going on here. By recreating the way nature works, the young designers are creating ‘organic’ artificial production. So to speak. Worldwide — Waste management planning and sustainable development has reached a critical point in many areas of Thailand. It is estimated that the country generates about 13 million tons of waste every year and Bangkok accounts for a third of the garbage. Manufacturers have been taking a page from Thailand’s street recyclers, adopting “waste not, want not” as a design mantra. It looks even better than it sounds! Frankfurt — Hide and seek in drapery and puffed up textiles, push natural beauty into surreal shapes. Cream and skin tones seem transparent and clear, but obscure. What you see may not be what you get. This way to see what the Illusionist has up his sleeve. This is one of six themes the Heimtextil International Trend Table will introduce in January 2009. Today Trendease is pleased to bring its readers an avant premiere. Frankfurt — The finest treasures of the past are covered with a new coating once we have realized that we have discovered a rarity. We bring the past forward to us, and acquaint ourselves with our own cultural heritage. Slip and slide between eras and epochs in this trend through our Time Traveler. This is one of six themes the Heimtextil International Trend Table will introduce in January 2009. Today Trendease is pleased to bring its readers an avant premiere. Frankfurt — Chase the rainbow! Even if it escapes, along the way a new wisdom is found. In the midst of chaos and confusion, the eye that remains calm sees best. If the way is lost, the Fortune Teller trend will point the right path. This is one of six themes the Heimtextil International Trend Table will introduce in January 2009. Today Trendease is pleased to bring its readers an avant premiere. Frankfurt — Displaying the rigor of a masculine mood, the Alchemist reconsiders the laws of nature. Dissecting metals, minerals, and light, new shapes emerge. Sculptural, yet mathematical, the shapes influence fabrics and colors. See the way they all look here. 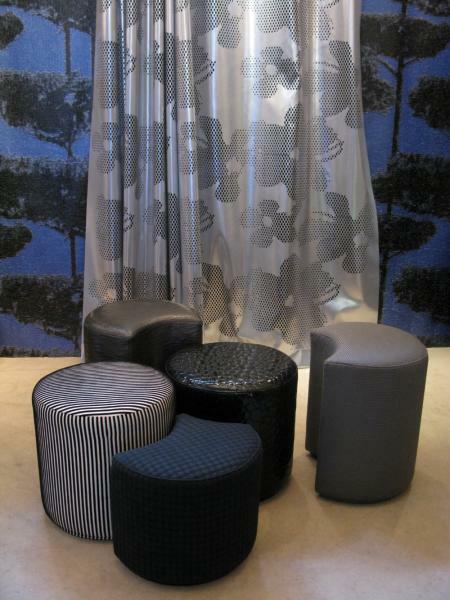 This is one of six themes the Heimtextil International Trend Table will introduce in January 2009. Today Trendease is pleased to bring its readers an avant premiere. Frankfurt — In a neo-natural forest, technological flora and fauna dominate. Mimicry becomes the real thing, and crafty artisans are supreme artists. The trick in this trend is to make it all look as natural as moss covered stone and tree bark. How is it done? It must be Witchcraft! This is one of six themes the Heimtextil International Trend Table will introduce in January 2009. Today Trendease is pleased to bring its readers an avant premiere. Frankfurt — Mix up the colors and throw them every which way. They are like giant confetti celebrating a wacky world, fresh and joyful to the last of them. Ecstatic and mesmerizing, the Enchanted trend leans on modernist colors and materials. A fantastic world awaits this way. This is one of six themes the Heimtextil International Trend Table will introduce in January 2009. Today Trendease is pleased to bring its readers an avant premiere. Paris — This week’s gallery highlights some of the Trendease Team’s top picks from Paris when it comes to merchandising under the themes of color/material. The chill of the encounter between ice and crystal at Baccarat; the black box containing peep holes to discover a new product at Saazs; the latest textiles from Elitis transformed into bags in a farm-like setting; colors of the latest kitchens at Boffi displayed via similar colored spices and foodstuffs. Frankfurt — Many warm greetings from Paris dear readers! 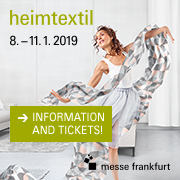 Today is a special day—you get to have an exclusive advance preview of the 2009/2010 trends to be presented at Heimtextil in January 2009. After the Trendease Team explored the trade floors of Decorate Life: Tendence, Collectione, Outdoor Living, and The Design Annual, we were honored with a screening of the Heimtextil trends to be presented next year. Worldwide — It’s a far cry from Alfred Hitchcock, but admittedly things going to the birds. From sequined and glittering Christmas and holiday décor to ceramic figurines to fine embroidery and decorative accessories and even high-end garbage pails, birds are flying into the spotlight. See all of this and catch up on tidbits regarding toys, upcycling, and carpets in today's newsletter. Paris — This week’s gallery of images is guaranteed to excite your eyeballs. The rainbow of colors splashes across walls, floors, countertops, cabinets, over upholstery and seating, down curtains and straight into the imagination. From there it flies back onto the bolt of fabric that hides within it yet-to-be created products. Subscribers can see the rainbow of options and catch up on the latest tidbits within this newsletter.